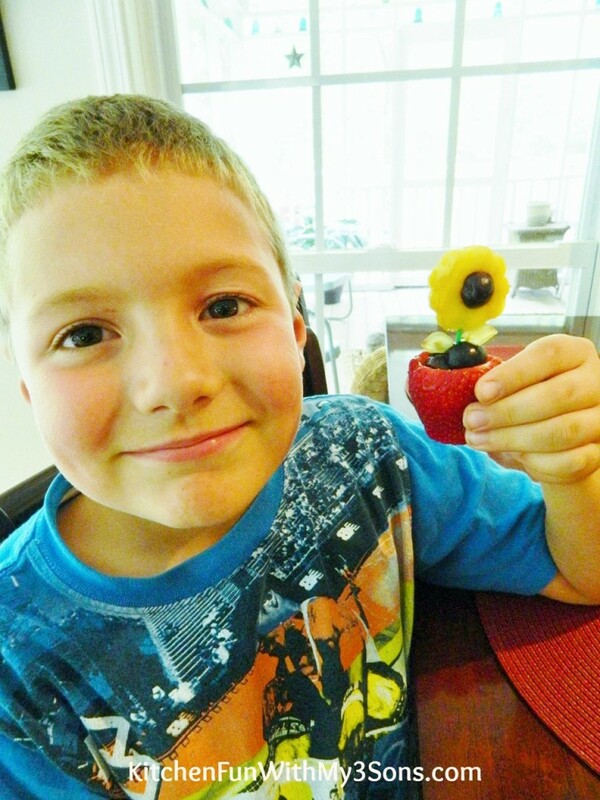 We came up with these Fruit Flower Snacks today & they are SO easy to make! 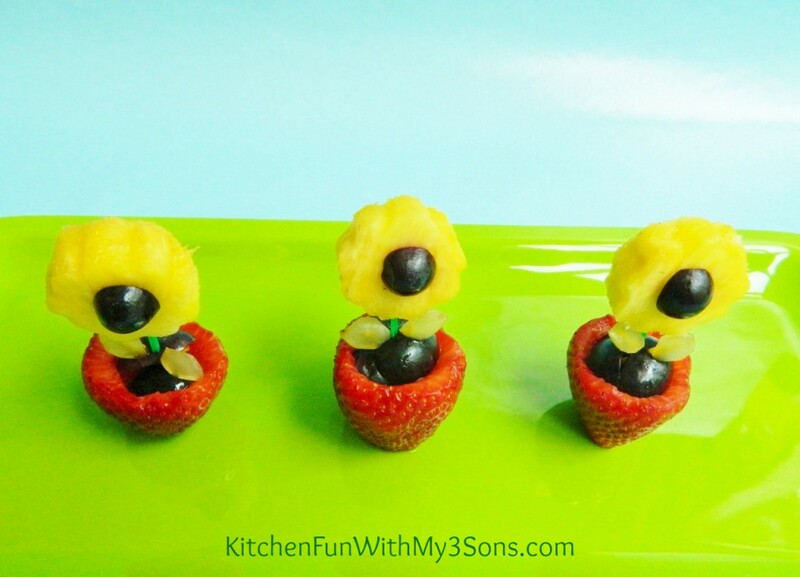 These would be fun for the kids to make mom on Mother’s Day or just a fun & healthy after school Spring snack for the kids! 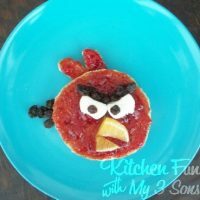 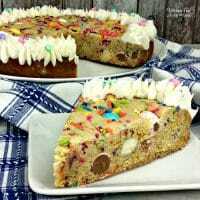 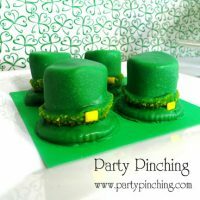 Takes just minutes to make & the kids can help make these. 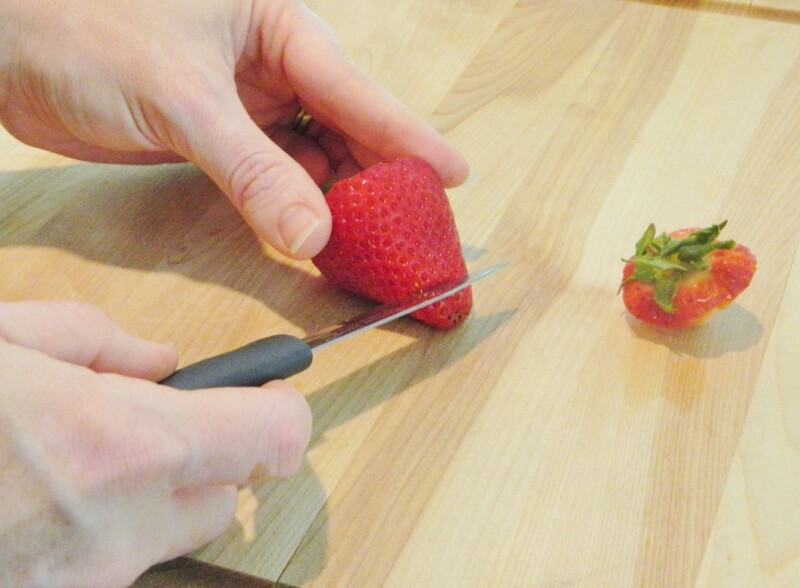 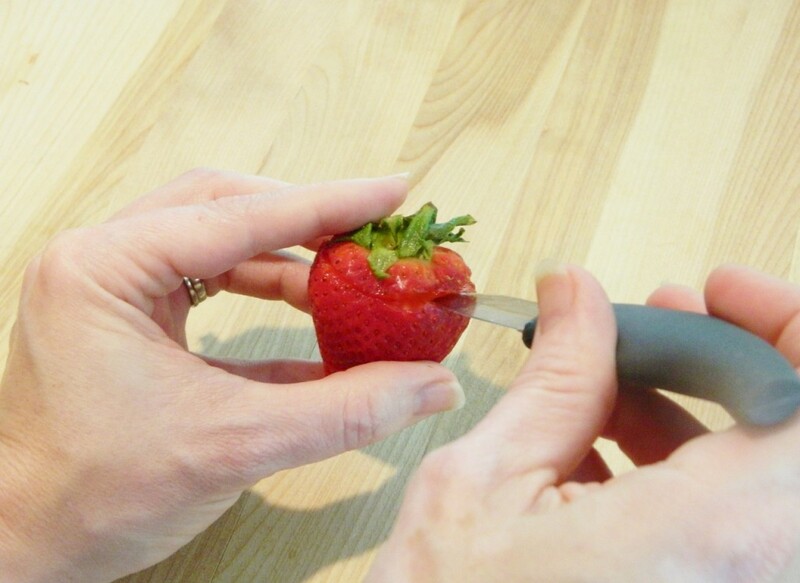 Start out by cutting off the top of a strawberry down the to middle…. 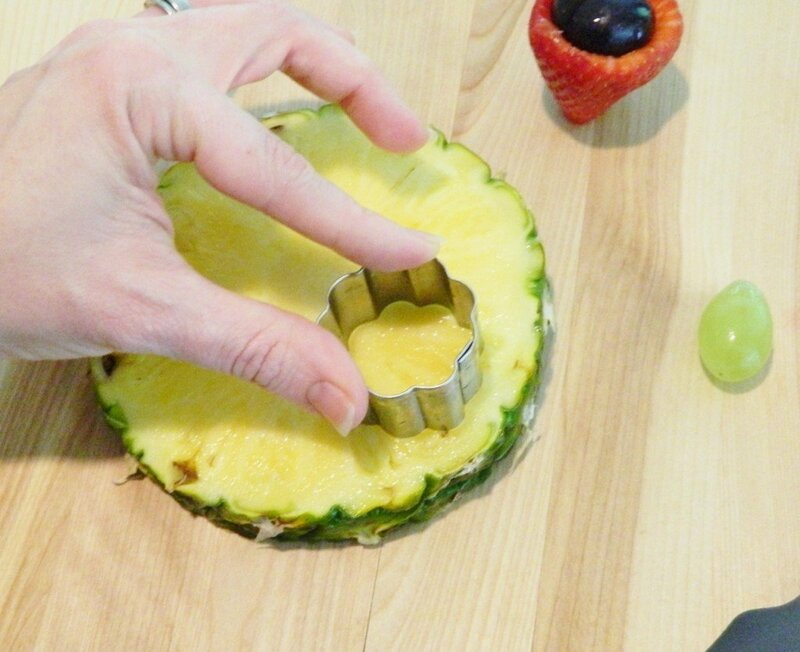 Cut out flower shapes using a cookie cutter from a slice of pineapple…. 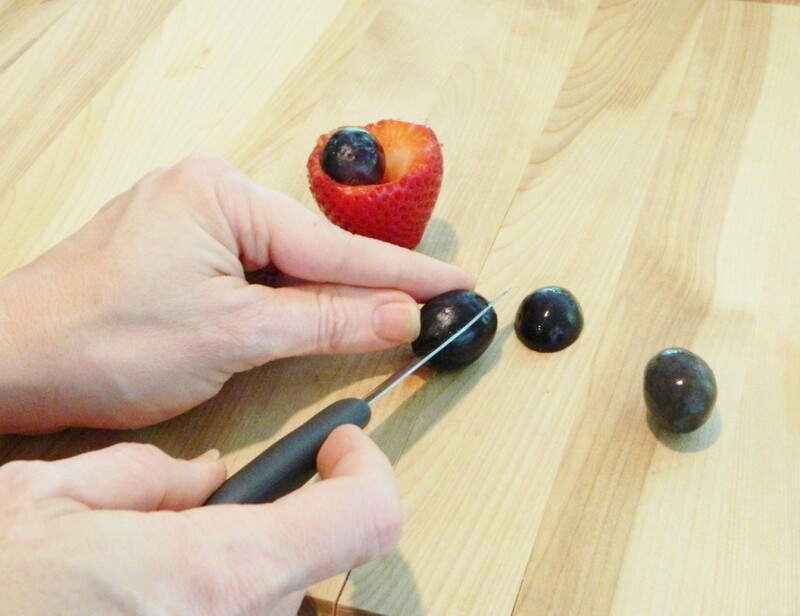 Cut a green grape in half & then cut that half into another half. 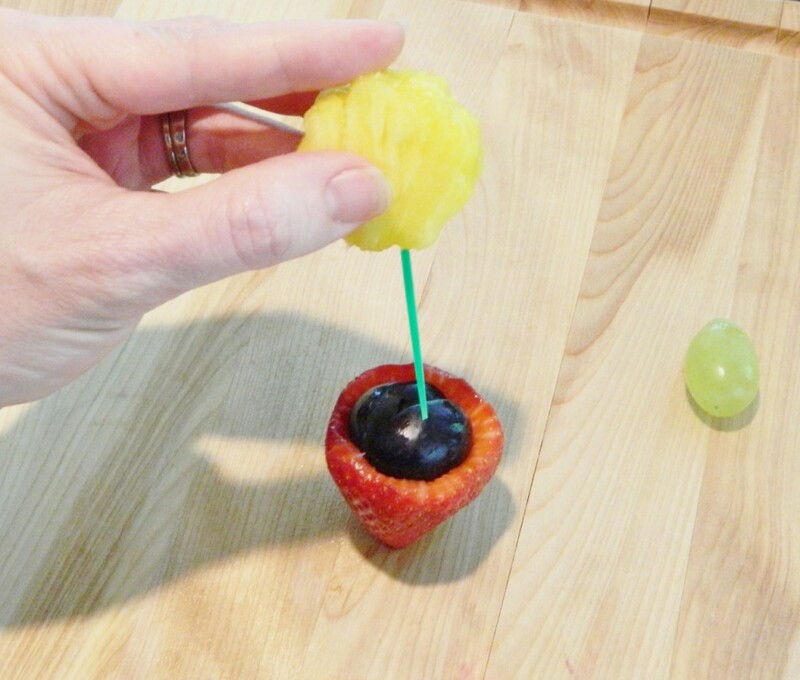 Place the pieces on top to look like leaves…. 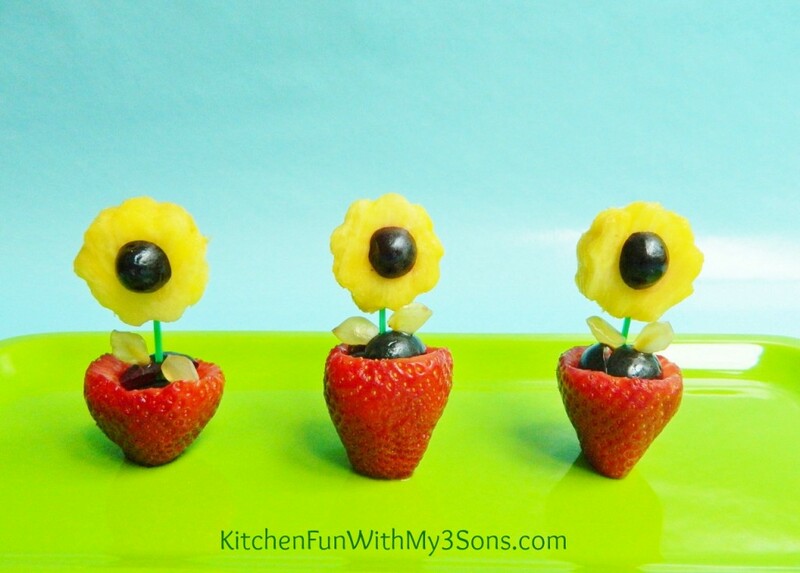 We also cut the tips off of the black grapes & pressed them on the pineapple flower to look like sunflowers…. 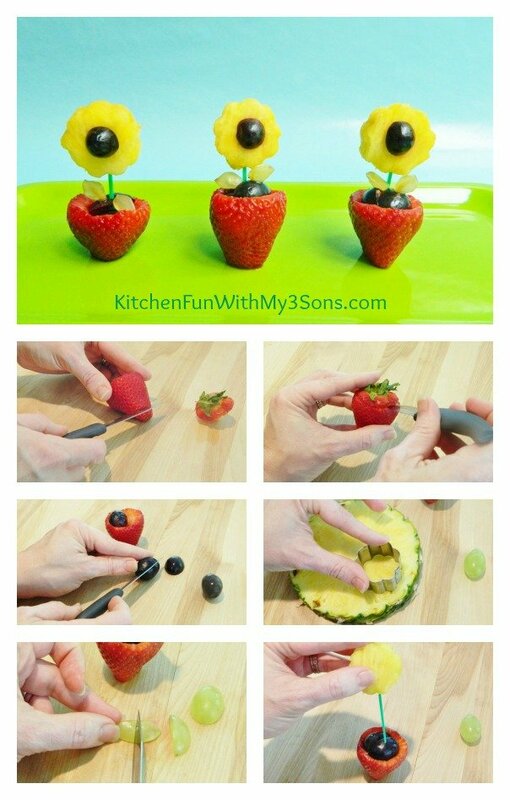 You can view all of our other Fun Fruit ideas HERE! 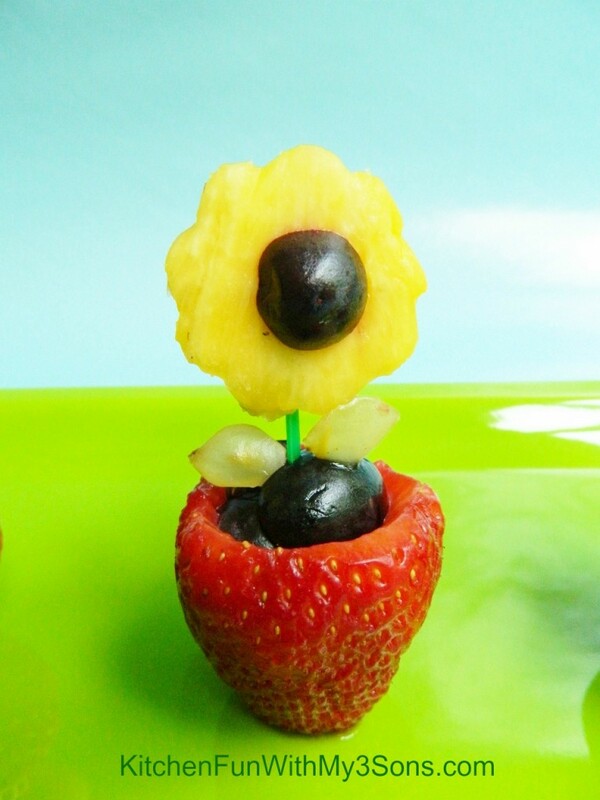 Next Post » Easy Fruit Sun Flower Snack for Mother’s Day! 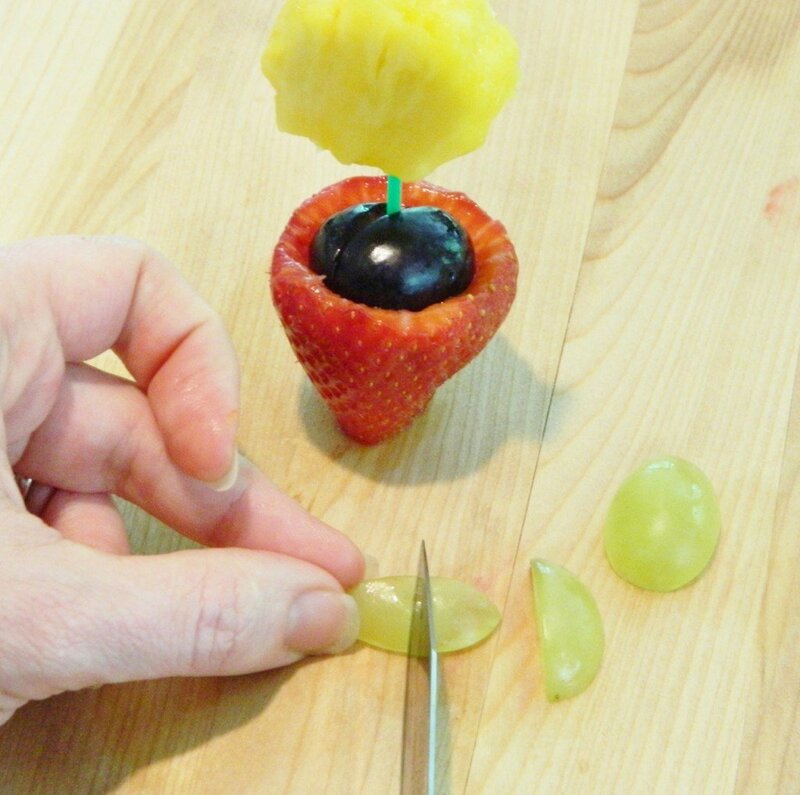 This really is sweet, brings a whole new meaning to playing with your food!